Studies have found that the two most common activities during the Holiday Season are “gifts” and “gatherings”. And both of these are good ideas for most mobile home parks. We’ve been writing all year about the necessity of building “gathering” areas to promote the sense of community – which may be our strongest amenity (according to the Time magazine article “The Home of the Future” last year). This could consist of a few picnic tables in a green space, or a party room in an old abandoned laundry building. Or it could mean bringing your clubhouse back to life, or the construction of a quality pavilion, playground or splashpad. Contrary to what some people may say, the cost to insure these type of venues is relatively small (around $500 per year) and outdoor activities require no utility consumption. On the “gift” side, why not do something nice for those residents who are in need of home renovations. It’s a win/win when you act as the catalyst to get needed upgrades completed. You can do this by donating the materials and finding a volunteer group that wants to do a positive activity to help the needy – or you can use your own maintenance man (or contractor) to do the work. If you want to take it a step further, find out from your park manager which residents are having a tough time and see if you can help them a little bit, with needed cash or a present. For years now we’ve been doing just that at our communities, and having a great deal of personal satisfaction as a result. And we would also like to take this opportunity to say Happy Holidays to our extended mobile home park investing family. For over a decade we have devoted our spare time to producing this newsletter and related books and articles on the mobile home park industry. And we’ve done this because we really enjoy getting to know other investors and feeling like we’ve made a material contribution to the advance of the industry that we’ve been working in for over two decades. While others play golf, we write. But we only do it because of the special camaraderie we’ve received from those who participate in the affordable housing sector. And that’s you! Have a Happy Holiday Season and a very special Happy New Year! Why Are Only Mobile Home Parks Criticized For Re-Positioning? This is a photograph of the “Old Market” development in Omaha, Nebraska. This used to be a blighted area of abandoned and under-utilized structures, with deplorable conditions and infrastructure that was barely clinging to life. In the renovation of this area, countless individuals and businesses were displaced, yet the re-development received nothing but accolades. So why do mobile home park owners not receive the same type of fanfare when we bring back old mobile home parks to life and re-position the property for the modern era? It’s not as if cities are not really worried that much about the plight of the poor or mentally ill. They really just prefer that somebody else deals with that problem and not them. And when you bring a mobile home park back to life, that typically isolates and removes those that could never afford to live there in the first place, or cannot function within the confines of community rules. As a result, it now falls upon their shoulders to carry the effort and cost of supporting this group, as they fall back on social programs such as Section 8 or welfare or even homeless shelters. As a result, it’s easy to see why they hate any progress that increases their workload and red ink. 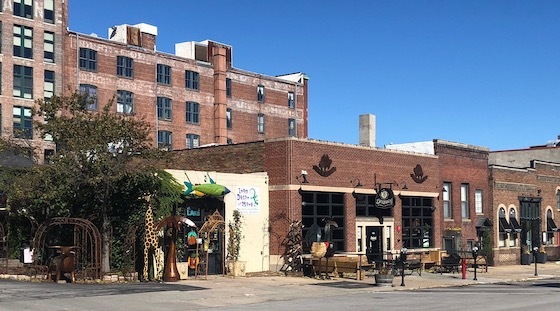 A project like Old Market creates millions of dollars in taxable value for the city, as old warehouses become trendy hotels and abandoned or under-utilized retail areas suddenly spawn fancy restaurants. However, when you fix up an old mobile home park, how much taxable value do you really create? $10,000 per lot? $20,000 per lot? That’s decent money, but to the city that doesn’t even hit their radar screen. Through a relentless smorgasbord of negative portrayals of mobile home parks in TV and the cinema (COPs, Trailer Park Boys, Myrtle Manor, 8-Mile, Pink Flamingos, etc.) every man, woman and child in America has a negative mindset against the industry. So it’s super easy to rile up the local news team with a single resident calling to complain that rents are going up $20 or they cannot have a pit bull in their yard on a chain. We are endlessly amazed that seemingly decent news channels will show up at a mobile home park based on nothing more than a call and a few lies with no verification while a legitimate homeowners group that is having a problem at a subdivision can’t get on the news without pleading for months. The bottom line is that the media hates parks, probably always will, and those who don’t see the bias are clueless. Old Market could raise rents on the tenants by 100% and they would still be branded heroes by the local media (who would be also cold-calling those shops and restaurants to sell advertising apce). Cities really want the parks to go away, not to be brought back to life. A development like Old Market is seen by the media as a needed facelift. They want retail, lodging and restaurants. But nobody wants the mobile home park to survive. If it was not brought back to life it would die and go away. That’s the city’s dream. But when you inject the capital to modernize it and re-position it, you have destroyed the vision of gradual eradication. Every time somebody re-paves the streets in an old mobile home park, there are probably ten neighbors and city bureaucrats that go into depression. We’ve spent our entire career turning mobile home parks around and making them nice places to live. We’ve literally improved the quality of life of thousands of Americans. And do we receive any accolades for this? None. We don’t expect to. Nobody appreciates improving mobile home parks except the residents. And even they can often not appreciate the value of what we do. It may take decades for the stigma and discrimination against mobile home park owners and residents to end. 2018 Was A Great Year For New Mobile Home Shipments. So What’s It Really Mean To Park Owners? The total mobile home shipments for 2018 are on-track to hit roughly 100,000 units. That’s up from 2017 and nearly double that of the industry record low of somewhere around 55,000 units in 2010. But we’re in the park business, so why should we care? Well there’s a lot of interesting facts from those stats that impact park owners nationwide. Nobody knows what the exact percent of new mobile homes purchased by park owners is, but it’s generally assumed (and we believe correctly so) at greater than 50% of all production. That gives mobile home park owners collective power in shaping pricing and design. Not too many years ago, no park owner could buy a home direct from the manufacturer. We were banned from this. If you wanted to buy a few homes to fill your vacant lots, you had to buy them through a dealer and pay ridiculous mark-up. But now that we are the #1 customers, we can buy factory direct all day long. That’s a huge savings. While everyone who knows what they’re talking about adores the affordable housing sector, it was hard for lenders to convince their lending committees of how great parks were when sales stats fell from 400,000 units per year to around 60,000. That gives the same feeling as Detroit in the 1980s, when car sales slumped and the city died. The fact that sales are better every year now suggests that our industry is desirable and making the right moves. It’s basically great PR. If we can hit 100,000 units per year in the absence of any type of federal support for our industry, imagine what might happen under the Duty to Serve requirement next year that Fannie Mae and Freddie Mac start securitizing our home loans and give us at least some of the positive help that they do the stick-built market. Sales could literally double. If you look at mobile home shipment stats since 1950, you can see that the industry is able to produce literally 300,000 units per year at peak production. And that would mean a lot more vacant lots filled. We’ve not a manufacturer. We own no stock in factories. But we do find these positive home shipment numbers to be a very favorable sign for the industry, and hope they continue to go up in 2019. America loves Walmart. It’s the biggest retailer in the U.S. (as well as the biggest employer). But there are also items at the local Walmart that can have a big impact on the quality of life in your community, and the cost is really low. Here’s how a few dollars at Walmart can radically change the looks of your mobile home park for the better. One of the ugliest items in many mobile home parks is when the residents spray paint their lot number on the end of their homes. I’ve seen them paint 4’ tall numbers in fluorescent orange there. So here’s a way to fix that. Give the homes that don’t have professional numbers on them the press-on or screw on variety from Walmart. The cost is only $1 per letter. The aesthetic impact is huge. Many mobile home parks have all their interior signage (speed limit, children at play, etc.) attached to rusty old metal poles or rotting wooden ones. Instead, replace these with PVC posts with nice PVC decorative caps. The cost is only $20 per post and $5 per cap. Bargain. And while you’re buying those white vinyl posts, how about putting some three-rails between them and building a fence down your frontage. There is no better product for mobile home park entry design than a three-rail white vinyl fence (two is too short and four rail is too solid). It never needs paint and you can take graffiti off it with a solvent. You can also hang a banner on it. These type of fences cost around $10 per linear foot. What a deal! Some park owners put white poster board in the window of vacant homes proclaiming “home for sale” for “home for rent”. Forget that. 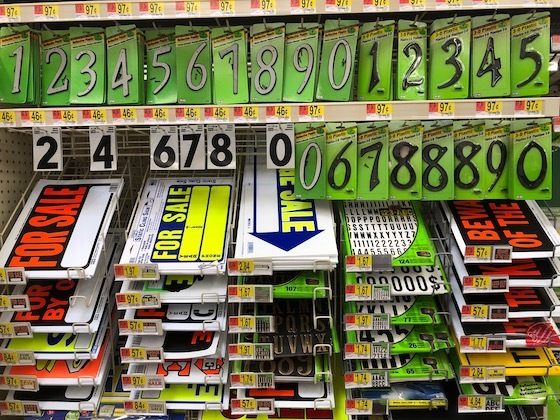 You can buy professional-quality for sale/rent signs for only $20 per unit. And you can also buy the frames to stick them in the yard for another $10 or so. Every park owner should take advantage of the local Walmart to give their property those finishing touches. They’re inexpensive and a huge bang for the buck. A recent article on MSN suggests that residents of “top tier” cities are beginning to move out. While that’s bad news for many in other real estate sectors, most mobile home park owners could care less as the truth about “top-tier” cities has been known for decades. Basically, they don’t matter in the mobile home park industry. But why? Top-tier markets are often the subject of massive single-family home speculation. That’s great when prices double, but hard on all property owners when they plunge. Take Los Angeles, for example. Home prices marched vertically up prior to 2007 and then plunged during the Great Recession. It’s hard to get residents in mobile home parks when you can buy a condo for the same price. The “lesser” markets have a huge advantage in stability. Have you ever seen “Flip or Flop: the Indianapolis Edition”? We are squeamish at any market that is featured on a television market – it’s a terrible sign that real estate is way too speculative. Other real estate sectors – from storage to apartments – need a constant new supply of population to have a prayer of staying full. That’s because there’s constant new construction stealing their customers away. It’s like trying to fill a cup with a hole in the bottom. But mobile home parks do not need any population increases to stay full. That’s because the demand for affordable housing is huge in every market and the hatred for Class B and Class C apartments is epic. Who would not want privacy, their own yard, the ability to park by their front door, home ownership, and a sense of community? All park owners do is take customers away from apartments when they need to fill a vacant home. The “top-tier” markets are not top-tier on financial returns. Not even close. 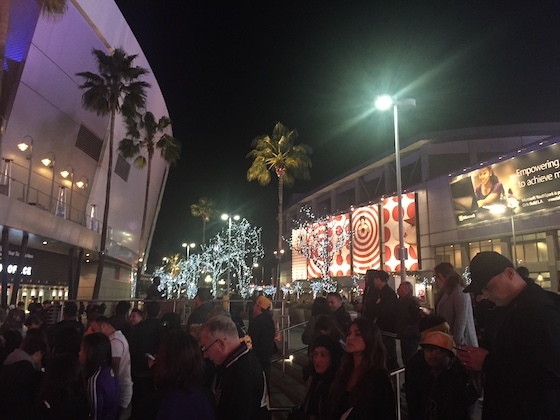 You can do far better on a new acquisition in Grand Rapids, Michigan than you can in Los Angeles, California. It’s all about supply and demand. With so many real estate investors flocking to the cities that receive media notice as “hot” markets, this group of lemmings bids up the prices to the point that there is nearly zero opportunity to actually make money. While top-tier market cap rates sometimes approach 4%, you need about double that to hit 20% cash-on-cash returns. Don’t listen to anyone who says that the top-tier markets are where it’s at. They’re not. Stick with good fundamentals in solid markets that never make the news. They’re safer and more profitable. Vacation in the top-tier cities if you want – just don’t buy there. 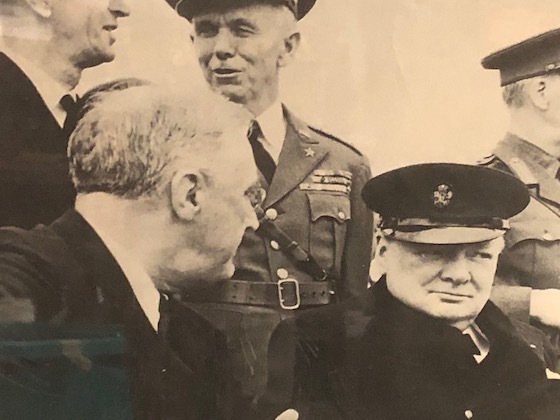 The British faced an incredibly difficult playing field in World War II. They faced nightly bombing while worrying each day about an imminent invasion. All the while, they were trying to manufacture tanks and planes and produce crops to feed millions of people. A popular war poster for Britain said “Keep Calm and Carry On” as a reminder of what to do during the crisis. And that lesson still holds true for park owners. Whenever disaster strikes your park, the first thing to do before getting excited or worried is to simply gather the facts. Do so calmly and impartially. Don’t let somebody get you worked up with their personal opinions of what is occurring. Instead, simply gather the concrete who, what, where, when, how. But you still can’t take those facts as legitimate until you vet the sources. For example, if a plumber tells you “this sewer system is a total catastrophe and we need to replace 100’ of line fast” that’s not something you can rely on because they have a vested interest in making you replace the sewer line. And if the manager tells you the same thing, they are clearly not qualified. Smart owners want to see smart phone photos and then talk to several sources of information to figure out the truths from the fake news designed to make you spend money. It’s important to always remember that you own the park and, as a result, you hold all the cards. Don’t let some manager or vendor try to displace you from being the decision maker, as nobody should be spending your money other than yourself. The words “I thought that’s what you would want me to do” is the prelude to economic catastrophe. No manager or vendor should be given the authority to sign any contract or make any commitment without your complete approval. Scam artists always want to rush you to make a bad decision. Don’t do it. As long as it’s not something on fire or a situation where there could be imminent injury or death, you should not just make knee-jerk decisions under the supposed rush of the manager or vendors. We’ve had managers that call and say “we’ve got a major leak and need to start digging immediately” and we say “send us a photo of the leak” and it’s just a dripping faucet. What’s their motive? Probably the plumber they want to use is a friend of theirs and they want to help them pay their mortgage. And speaking of potential collusion between the park manager and vendors, let’s put a spotlight on one of the biggest scams out there. It involves the manager calling the owner and telling them “there’s a giant sewer leak. The city says that they’ll shut down the park if we don’t have it fixed by 5 PM. They say that they’ve called the EPA. Our only hope is Larry’s Plumbing, and he says he can do it for $10,000. I’m going to call him right now and get them going on it. We don’t have any time to get a second opinion”. So the owner says “OK let’s do it”. The only problem is 1) there’s no actual sewer leak 2) there will be no actual work done and 3) when you send Larry’s the $10,000, he gives $5,000 of that to the manager. It’s one of the oldest tricks in the mobile home park industry book. But that’s not all the frauds. Managers will also often manipulate the facts to help their friends and family (for example pretending that a park-owned rental needs repairs while diverting the vendor to their brother’s home instead). The bottom line is that you must never trust anyone. Sometimes a park owner will create a bigger problem by moving fast than by being methodical. Before you do anything in a rush, be sure and check that all state, county and city ordinances are followed. If you remove that septic tank before checking the law, you may lose your grandfathering. If you remove that wiring from your master-metered electric system, you may not be able to put it back. Don’t do a thing until you have all necessary legal clearances, even if that means holding back on taking action a little longer. Don’t settle for occasional progress reports. Demand daily accountability. Use your cell phone to its full potential, both with constant photos as well as Facetime with the contractor and videos of what’s going on in real time. It’s your money at stake and you need to be able to make informed decisions at all times. The worst thing you can do in a crisis is to not keep the city in the loop. They will be receiving calls from your tenants continuously, and they will get mad fast if they have nothing to tell them to get them to stop calling. If your water is out, you need to get the city an estimate of when it will be turned back on as well as constant updates of any changes in that prediction. Ditto for the residents, who find the suspense worse than the actual loss of service. Once you are told that the crisis is over, don’t accept that information from the contractor or manager until you have seen confirming photos and called and talked to the city to announce the successful completion. There’s nothing worse than thinking the crisis is over when it’s not. It will cause you to lose valuable time in your quest for finality. Every crisis deserves a bountiful debriefing to define what went wrong and how to proactively keep that from happening in the future. History is all about learning from our mistakes to guide us from repeating them. At least you now have a playbook if it ever happens again. We think there’s a lesson in that video for every park owner. Amazon has finally announced their new “second headquarters” with little-known locations in New York and Virginia splitting the fabled project. It’s a $5 billion investment over 17 years according to Amazon, or roughly $2.5 billion per city. But did you know that St. Louis has a $1.7 billion project right now that is not spread out over two decades but happening all at one time? It’s called the National Geospatial-Intelligence Agency campus, near downtown. How many people have ever heard of this project? Relatively none. And the reason is simple: it’s received virtually no media attention since the announcement a while back. St. Louis is considered a “flyover” market by the mainstream media, while Amazon’s campus was seeking out cities that were considered “top tier”. And this “fake news” continues to spread the false narrative that somehow the cities of Los Angeles, New York – and other largest metros – are superior to the rest of America. As many recent articles have suggested, the “flyover” states are actually pulling in more new jobs and people than any other region. The moral is that if you’re looking for a mobile home park to buy, don’t narrow your search to the supposed “top-tier” markets. Our industry works well throughout the nation and the fake news is getting a little ridiculous at this point. The media has their own selfish purposes, and none of them include trying to paint an accurate portrayal of the best mobile home park markets. 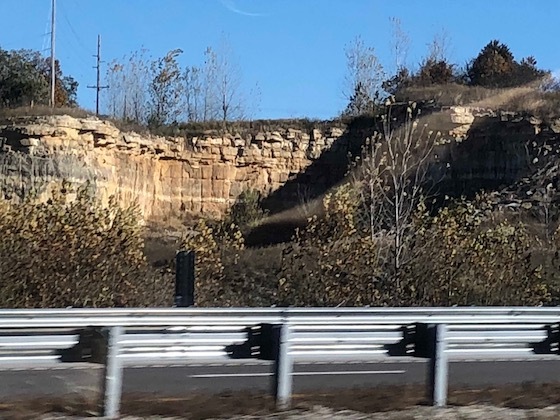 I am forever reminded of the necessity of good due diligence when I drive down Interstate 55 past this job site in southern Missouri. It’s a development gone wrong that has a tough lesson to be learned. The owner thought they were making a great investment in a future commercial property. They bought what was a corner on an Interstate and then began the expensive job of excavating it to make it into a potential gas station/restaurant pad. But there was a problem with the property. The owners had not properly identified the existence of a fiber-optic phone cable that runs diagonally through the property. While the good news is that they did not hit it while digging, the bad news is that it rendered the property useless. Could this have been avoided? Yes, the fiber-optic cable could have been discovered during proper due diligence, and the land purchase could have been dropped during the inspection period. This example is not alone. There are people who have purchased landfill without knowing it and built lodging without realizing that they can’t get a permit due to insufficient water pressure for the fire sprinkler system to function. Benjamin Franklin once said that “diligence is the mother of good luck” and that’s an understatement. One of the key qualities that all good mobile home park investors share is the desire to avoid risk through solid diligence. Without it, mobile home parks – and all real estate – become nothing more than sheer gambling. Mobile homes have far more sophisticated installation requirements than most people think. No longer do you just put the home up on some concrete blocks and call it a day. In today’s world, it’s important to know the rules regarding placing the home in your park. So here’s a primer on this important issue. The most important thing you need to know about mobile home installation guidelines is that they are different in virtually every state. One of the biggest differences is that between “HUD” states and “Non-HUD” states. HUD got into the home installation business a while back in order to make their mark on the industry. Many people have definitive opinions on the success of that initiative (most think it’s lead to runaway consumer increases in home cost with little benefit). You can find out the installation guidelines in your state by calling your state manufactured home association (MHA). Lot installation requirements can literally run from zero (placing the home directly on ABS pads on the earth) to $10,000+ (pouring a concrete slab under the home, or concrete piers or runners). One of the most important rules that all states share is that water cannot collect and sit under the home, due to the damage this would incur to the floors from the exposure to constant water and humidity. It’s also a given that all owners should make sure that the utilities are working properly before the home is delivered, as the cost to fix and water, sewer, electric or gas line is ten times worse once there is a home sitting on that lot and stopping you from easy digging. If you’re wondering “how am I supposed to navigate that complicated universe” the good news is that you don’t have to. The home installer is tasked with that responsibility. 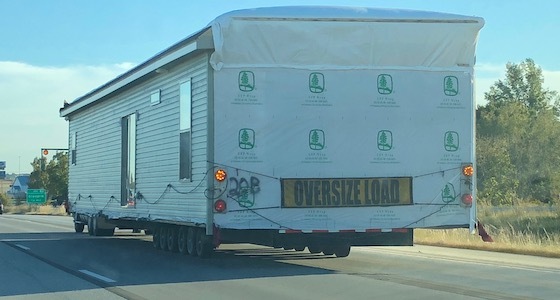 They are licenses and insured to install mobile homes in that state correctly, and they will not ask you for any input. If they fail in their mission, they can lose their license, which means they would not be able to work in that state. With that much skin-in-the-game, deliberate installation mistakes are rare. Ben Carson has seemingly endorsed the fact that the expensive installation guidelines embraced by HUD when he came in to office are a bad deal for consumers (pads, runners and piers) yet they are still the law of the land at this point. The HUD officials who came up with these rules have all been fired. But the problem is that there is still not a legal repeal of these practices. Until then, we’re all stuck with them in those affected states (and so are the consumers). We hope that these disliked and poorly though out guidelines can be repealed soon, and the savings passed on to the consumer. 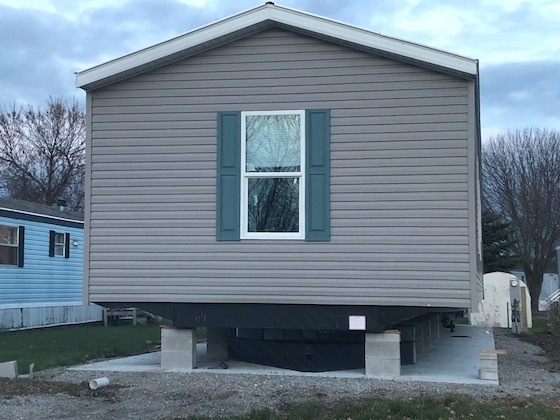 Mobile homes are simple, sensible, affordable housing, Unfortunately, the installation guidelines are not that simple or sensible in many states. Hopefully that will change in the near future. All Americans face the risk of the neighbor who cares little for others and the community at-large. But what do you do when that neighbor happens to be next to your mobile home park investment? It’s a problem that can happen frequently given the fact that many mobile home parks are relegated to areas of town that have an industrial feel or are in neighborhoods with a lack of luster. “You can catch more flies with sugar than honey” is a popular saying, and it’s equally true with mobile home park neighbors. If you want to get someone to clean up their act, there’s no better beginning spot than to call or write them and figure out if there’s an amicable way to get the problem resolved. Sometimes you get lucky, and the property owner is unaware of the tenant’s mess and makes them clean it up. Other times the owner is equally unaware that the mowing company is not bothering to do the back of the property and again gets is fixed. Many neighbors who lack appreciation of the property owners next door seem to show a little more consideration when there’s money involved. Yes, you can bribe your neighbors to clean up their act. Here’s how it works: “hi this is Tom. I own the mobile home park next door to you, and we’re getting a lot of complaints from residents about the fence on your property that is falling down. Would it be OK if I repair it at my own cost?” Or how about “I noticed all the junk on your lot and I was wondering if I could buy it all from you for $1,000 and remove it?” The bottom line is that sometimes cash is even sweeter than a sense of community. If your neighbor could care less about being a good person or taking your money, then it’s time to call in reinforcements which, in this case, is city hall. You can call and file an official complaint against your neighbor in most cities, and that will result in the inspector dropping by and assessing the situation and potentially writing the neighbor a ticket and a fine. While this sound great in theory, however, the reality is that the inspector takes forever to do that – if it gets done at all – and the court and fine process seemingly takes forever. However, you can sometimes get lucky when it turns out that the city fathers already hate the neighbor’s mess and can happily use you as the scapegoat for filing an official action. If all of the above steps fail, there’s always the final solution: build a fence to block visibility of the neighbor’s property. The best, for most parks, is a solid 6’ (or taller) white vinyl fence. It looks classy and blocks all ability to see what’s behind it. Plus you never have to paint it. If you have a chain link fence already there, then put green or white plastic slats in the chain link to make it opaque. The bottom line is that a fence can often offer the most cost-efficient solution to your ugly neighbor. When the quality of life of your residents is reduced by the nasty neighbor – as well as the value of the property based on the future appraisal – don’t just sit there and take it. Get the problem fixed. These solutions should work in almost every instance. Bulletin boards are becoming a more common feature of many mobile home parks, and for good reason. They serve many productive purposes, if used appropriately. So how can you make a bulletin board a positive force in your community? A bulletin board is like a daily newsletter in most mobile home parks. Residents see it every time they come in and out, and it’s a source of not only news but reinforcement of the value of living in the property. It can serve the purpose of educating, motivating, affirming, and building goodwill. That’s a whole lot of positive benefits. Many parks have the old type of bulletin board which is a cork board with a cheap wooden or aluminum frame. These look bad, have no way to block content from outsiders, are prone to graffiti, get wet in the rain and blow away in the wind. What any decent mobile home park needs is the variety that has a glass door that locks. That way, you totally control what goes on inside and it stays decent looking regardless of the weather. You can buy these practically anywhere from Office Depot to on-line. They cost about $200. The location of the bulletin board needs to be a place where all of the residents see it every day – and on-foot, not from the window of their car at 10 mph. This means that the logical spot it next to the mailboxes, rent drop box, or office door. An advertisement for any home you have available for sale or rent. A way to say “we care about you” whether it’s “Happy Holidays” or “Happy Valentine’s Day”. An opportunity to give a shout out to good residents such as “Yard of the Month”. A reminder of helpful tips such as “freezing temperatures require you to let the faucets drip” or “rent is due on the 1st of the month”. It’s not hard to find endless content in this fashion. And everything is a positive for your business. What separates the great bulletin boards from the average is superior design. If you aren’t any good at this type of thing, you can get terrific inspiration from websites on “scrapbooking”. And you can find everything you need for professional design elements (big colorful letters, line art, etc.) at any Hobby Lobby store or on-line vendor. Still lacking in good ideas of how to pull it off? Hire somebody in your family who is into graphic design to help out. 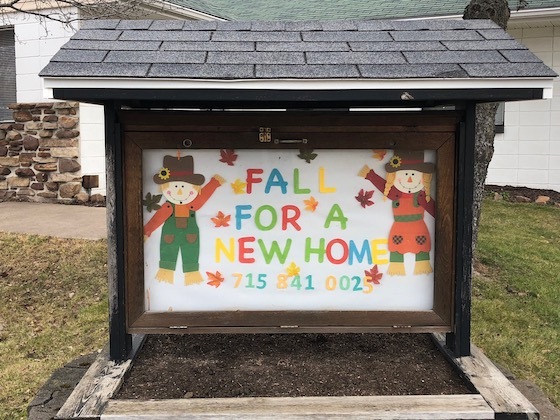 Bulletin boards are a great way to communicate with your customers as well as to persuade them of certain behaviors which are beneficial to your mobile home park. If you don’t have one, then maybe it’s time to do so. Webster’s Dictionary defines a “garage” as a “building or shed for the purpose of housing an automobile”. It’s a pretty simple concept. Yet there are several ways to accomplish this in a mobile home park, and at different price points. This is a mobile home park classic – a metal carport on four metal posts. It can have a flat or round roof. These cost typically around $1,000 to $1,500 and they are a terrific value for both the customer and the park owner. 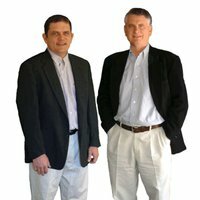 They demonstrate “pride of ownership” and solve the whole issue of having your car melt in the summer and get covered in snow in the winter. It serves as an inexpensive way to offer the comforts of a garage at a fraction of a garage. 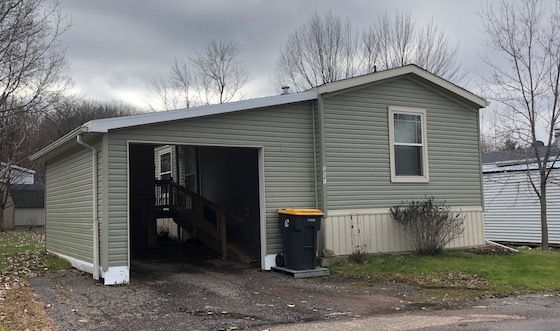 You can never truly have an “attached garage” in a mobile home park, as there’s no way to connect the garage door to the mobile home. However, if you place the garage in a manner in which you can park your car and walk to the mobile home stairs under cover, it’s nearly the same thing. These type of garages come in many different styles, from amateur special with no engineering (effectively just putting in two posts and a roof attached to the home, and then adding walls on three sides but without a garage door) to actual professionally built types with real garage doors. To have it done right costs about $2,500 to $5,000 in most markets. Here we have the real garage model that single-family homes frequently have. Four walls, a roof, a roll-up door and fully freestanding. These are the Cadillac of mobile home park garages, and parks that have them typically look to this as an amenity and a way to stand out above similar properties. These type of professional-grade detached garages cost around $8,500 to $12,500. At that price point, clearly there’s no way you will find these in all but the finest properties. In all cases, a garage in a mobile home park exemplifies pride of ownership and lenders love them. On top of that, the existence of the carport and attached garage blocks the mobile home from being removed without extra effort, and the detached garage can’t be moved. And, of course, the residents are huge fans of being able to keep their car protected and their quality of life high. So it’s truly a win/win for all parties involved. Since it’s such a great idea, there’s no reason not to help promote it in any way possible. Typically you have one resident who saves up and buys one, and then all the other neighbors suffer from garage envy. But to help promote that, offer to let the contractor distribute flyers door-to-door. You should try in all ways to be a catalyst to carports and garages going up in your park. Every park owner should celebrate when a carport or garage gets built, and to do everything possible to gain momentum for that activity. We love them all, from the simple metal shelter to the full-bore variety with a garage door, and so should you.